Going to keep this one short & sweet. I quit my job last week. Put in my two-week notice and told them I was moving on. Some of you might be saying, What the hell were you thinking? Let me put it this way: I broke up with the corporate world. We're still friends, and I might still spend a little time there in the future, however I won't be getting fucked by it anymore. Some people fall in love with that world, the relationship and all its perks. They marry that world and live happily ever after. Truth told, I envy those people. I’ve always dated the corporate world. Never fell in love. I tried to make those relationships work, but always found myself gazing at other opportunities. And I have a confession. I fantasized about them while I was with the corporate world. Often. So, I decided to do the right thing. I left my job. When asked to cite a reason for leaving, I replied, I'm in love with something else. I wish the corporate world well. I know someday soon it will find the right person for the job. However, come next Friday, I will clean out my cubical and walk away. I will not look back. There will be no second chances. .
And that, my friends, is something I’m willing to put into writing. .
Epilogue: Phil Brody lives in Los Angeles and writes every day. 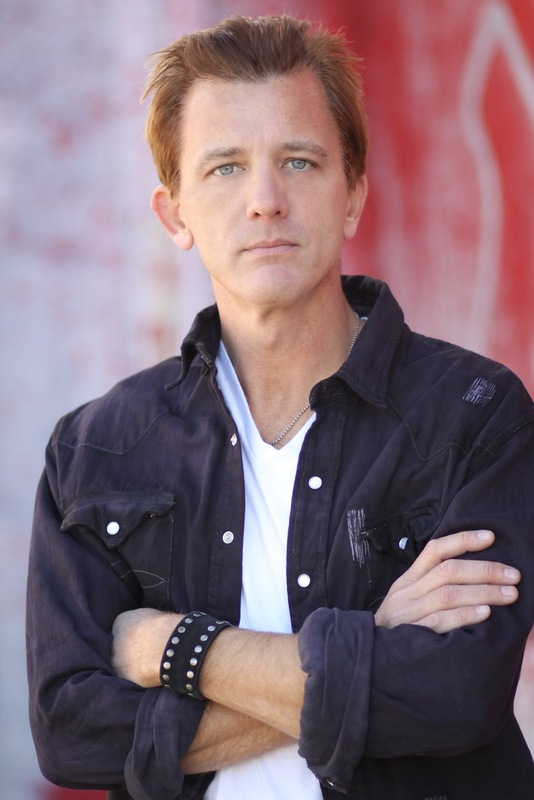 He’s toiled in development, penned a few spec scripts, and has worked as a writer, producer, and director in documentary TV. His short film, A Blue Christmas, was the Grand Prize Winner in The Short Film Group’s First Annual Script Competition and was acknowledged in the WorldFest-Houston and Cleveland International Film Festivals. Brody is a graduate of Miami University of Ohio and an alumnus of Writers Boot Camp in Santa Monica, California. 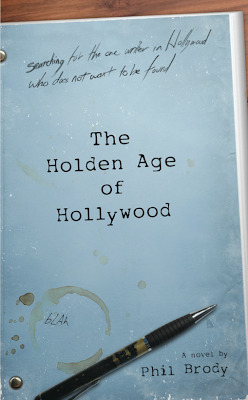 The Holden Age of Hollywood is his first novel. You can reach Phil Brody at emailphilbrody@gmail.com or find him on his Blog, Facebook, Twitter, and Goodreads! Sam Bateman came to Hollywood to settle a score, but amidst the sunny and 75, his plans went astray. Everything changed the day he drank in the intoxicating legend of Meyer Holden, the greatest screenwriter Hollywood has ever known, the one who pulled a Salinger and walked away. Holden now tacks pseudonyms onto his works and buries them in the bottomless sea of spec that is Hollywood’s development process. They’re out there for anyone to find—but at what cost? In his quest, Bateman severs all ties and sinks into a maddening world of bad writing and flawed screenplays. Paranoid and obsessive, the belligerent savant encounters an eccentric cast of characters—each with an agenda—in his search for the one writer in Hollywood who does not want to be found. 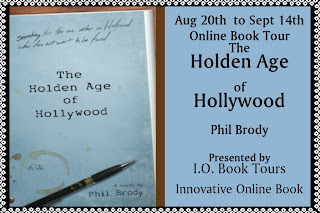 Phil Brody’s The Holden Age of Hollywood is at once a detective novel, an unexpected love story, and a provocative exposé of a broken industry. With dark humor and incisive commentary, the novel immerses readers in a neo-noir quest to attain the Hollywood dream, integrity intact. Be sure to also add it to your TBR pile on Goodreads! Phil, I just have to say, I love your guest posts.